One penny may not sound a lot but it can sometimes count for much more than nothing. The return of a dividend at supermarket group Tesco (TSCO) after three barren years sounds like all the tills ringing at once. The 1p interim implies a total 3p for the year. Not all the problems have gone away. I don’t like the way that sales are still struggling in Asia and Central Europe, though even that caveat was tempered by leaping profits in Asia thanks to the discontinuation of the disastrous Thailand bulk selling venture. Also the closure of unprofitable stores is lessening the burden in Europe. However, sales rose in UK and Ireland by 2.1% and profits by a quarter, welcome news at a time when price cutters Aldi and Lidl are themselves at last feeling the effects of the highly competitive marketplace. Like-for-like sales on home territory have risen for the seventh consecutive quarter. Pension contributions are going up but the deficit has been more than halved since February, admittedly through an accounting fiddle but the method of valuing pension schemes is mad anyway. Tesco shares jumped 1.6% on the news, taking them to the top of the FTSE 100 leader board, but they soon slipped back to end the day down 3.2%. Perhaps some short-term holders saw the chance to take profits after the shares had risen from 166p in June to 194p. Longer-term investors should not take fright. This is as good as it has looked for Tesco for many a long day. The shares are well below the level they stood at when Dave Lewis was appointed chief executive and the future looks far, far better than it did then. It was the bacon sandwich that really got bakery chain Greggs (GRG) going and I can highly recommend the chocolate eclairs so it is a bit of a surprise that the latest whoosh in sales has come from healthy eating, which now accounts for 10% of revenue. Sales in the latest 13 weeks showed better growth than in the excellent first half of 2017, even stripping out the effect of new stores. Greggs is coping well with the rising cost of ingredients and the uplift in the minimum wage but is managing to pass on some price rises. The shares have risen by more than a third since early December and have doubled in three years despite a rocky patch last year. They don’t look too expensive even so and offer a decent yield. It may not be too late to buy. Over the quite a few decades Wolseley has changed from cars to plumbing, from Australia to the UK to the US, and from Wolseley to Ferguson (FERG). It’s had its ups and downs along the way, but it is a great survivor and at the moment it is on the up. Revenue and profits gathered momentum in the final quarter of the year to 31 July, with the weakness of sterling adding a large bonus when figures were translated into pounds. The dividend pay-out increases from 100p to 110p. The biggest gains came in the United States, now responsible for 89% of profits. The devastating hurricanes have hit hard in several southern states where Ferguson does business, so the current year may suffer some disruption. However, Ferguson should gain a lot of extra business in the rebuilding process. The shares had a good run up over the past three weeks in anticipation of strong results so they no longer look cheap. 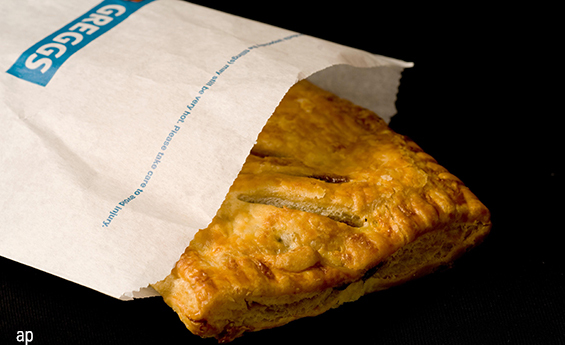 However, as with Greggs it does not look too late to buy for the long term. Why are Ryanair Shares Not Lower?